Yesterday marked day 35 of the run streak. When I originally committed to it, I was aiming for 34 of the 39 days. 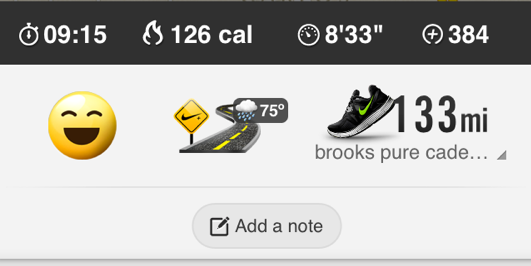 At this point, I'm so determined to meet the full goal that last night I ran in a torrential downpour just to get my mile in. I'm talking full-on storm, thunder and lightning included. It's really my fault for choosing to skip the gym and run in the evening. But it was really fun to throw on my old, junky shoes and do a fast mile. 8:33 pace? I think I'll take it! Matt's screenshot from Nike+...I really need a waterproof case for my phone! Today's post isn't about training, though. It's about laws. These commandments have been floating around the internet for a long time, and I'm not sure where they originated. Whoever came up with them deserves a little nod, though, because they're pretty spot on. The ones I'm sure to strictly follow are 2, 7, and 8. 7. I cringe whenever I see a runner in a cotton T. How many years of experience do you need before you realize that non-tech tees hamper your run? 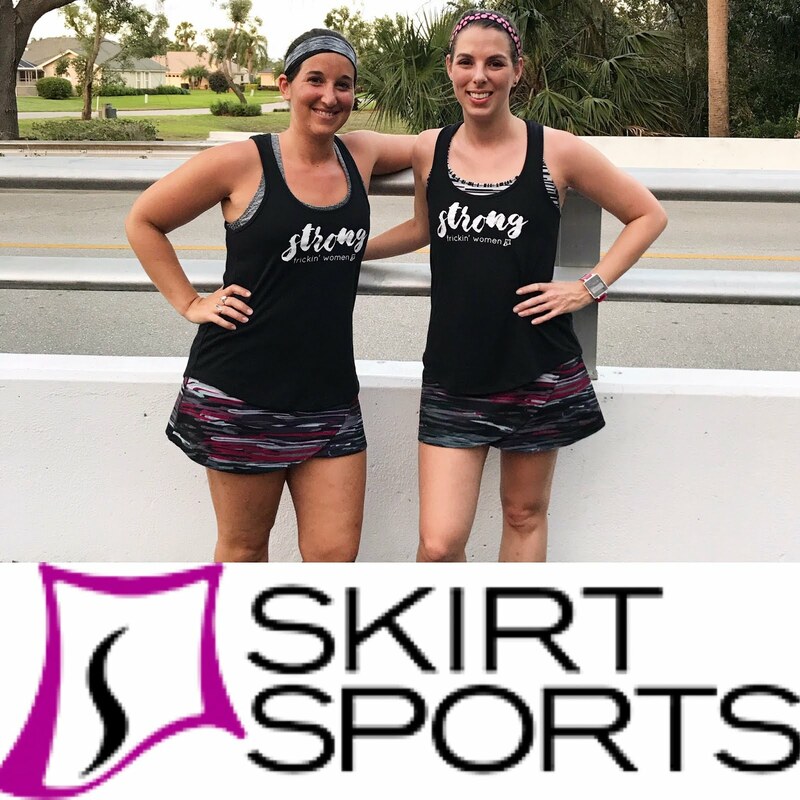 In my experience, they're heavy, hot, and over-sized, three things you never want from a running shirt. 8. And shoes. Oh, shoes. I've ranted on this before, but a new factor comes into play now. According to a new study, non-runners who begin running don't have to worry too much about pronation. If you've been in a certain kind of shoe for a long time, like I have, then transitioning to a different form should be done carefully. But apparently brand new runners can slip on any pair without a higher risk of injury. The other commandments? Yeah, I break those like crazy. But being aware is half the battle, right? If I were to wander into the Church of Running and confess my sins, I'd definitely have to mention that I don't vary my workouts nearly as much as I should (although I try) and almost never hydrate on a run. If penance comes in the form of running, I'm cool with that. There seems to be a few things missing from this list, of course. I think a good commandment to live by is Julie Isphording's sage advice to "run often and run long, but never outrun your joy of running." 11. Thou shall signal and move to the side before walking during a race. 12. Thou shall nod, smile, or wave at other runners. 13. Thou shall love, respect, and find joy in every run, no matter how terrible. 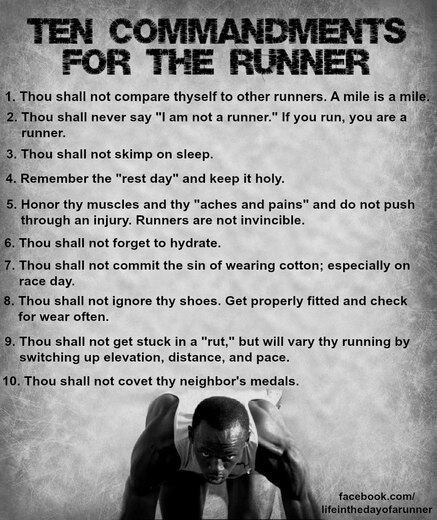 Which running commandments do you make sure to follow? Which rules do you break? Is there a law you'd add to this list? I break 1, 2, 3, 5, 6, 9, and 10. I like your additions as well; those are the ones that I would have added. I'm bad about #3 and #7. During the week I run in the evenings when I get home from work so I usually have a full night of sleep in. However, on Saturdays I do my long run in the morning and head out the door on very little sleep (about 4 hours). I'm just not used to going to bed early and I know I have to get up around 5:30am to beat the heat. I should try to get better at that! Also, #7 ... I know tech tees are so much better, but I often run in cotton tanks. I've yet to find a tech tank that I really like. Most are uncomfortably tight on my chest which is rather large (D-cup here). I'm so bad at getting to bed early before a long run! Moving Comfort (http://www.movingcomfort.com/Extended-Sizes/tops-extendedsizes,default,sc.html) and Title Nine (http://www.titlenine.com/category/womens-tops/tank-tops-and-bra-tops.do?nType=1) both sell tops that have extra built-in support and come in larger sizes for bustier ladies. They might be worth checking out! Your PT will get you back in tip-top shape! Good luck with your recovery!